Any business with an online presence can benefit greatly from SEO services. Why is it so important? An overwhelming majority of online experiences begin with a search engine. Most people never scroll past the first page, so if you want to direct traffic to your website, it’s important to increase your ranking for important keywords. This involves many methods, like cleaning up your code, regularly writing content that is useful to your audience, sharing that content, and even managing your reputation and responding to negative reviews online. SEO is a highly-specialized skill, so most businesses turn to companies who are experts in digital marketing. SEO companies provide many services – site audits, strategy development and implementation, as well as data tracking and analysis. Tapping into their experience can help you identify the changes that need to be made to your website for it to rise in the ranks. Because SEO is so necessary in this day and age, many companies have popped up offering their services—both in the United States and offshore. India, in particular, is a frequent go-to for many businesses because of their cheap services. How do you go about choosing from the hundreds, if not thousands, of options locally and around the globe? There are five main factors to consider when choosing between SEO services in the US and those offshore. On paper, local and offshore SEO companies usually offer the same types of services, with one key difference: price. Many SEO firms based abroad, like those in India, offer similar packages at a fraction of the cost of their American counterparts. This is a major deciding factor, especially for small to medium businesses who might not have the capital to spend thousands of dollars per month on a local SEO consultant. After all, if the results are the same, isn’t it a smarter business decision to go for the cheaper option? The adage rings true—you get what you pay for. Of course, this doesn’t always mean that more expensive equals better results, but there is a point where the money you save isn’t worth the sacrifice in quality and the risk. A good SEO strategy requires a thorough audit of your site, marketing and social media expertise, and possibly an overhaul of the code and content of your website. Offshore SEO services may claim to do all these for a low price, but they will have to cut corners somewhere to turn a profit – usually by providing lower quality content or even resorting to gray and black hat methods to deliver short-term results while staying within budget. Local services, on the other hand, might be more expensive off the bat to account for the serious research and work that go into creating your SEO marketing plan. English has long been the standard means of communication across the globe; the internet has only made it easier for people to learn the language, so it’s no surprise that many people abroad can speak and write in English. But anyone who has received messages and emails from offshore SEO firms can attest that there is a world of difference between a native English speaker and one for whom English is a second language. While some SEO agencies do have fluent English speakers on staff, this might not always be the case. The language barrier could pose major problems even early on. A solid SEO strategy involves a back-and-forth between your company and the SEO service provider, and any miscommunication from budgets to business objectives could put your investment dollars at serious risk. SEO also requires a lot of research and content writing, and you are more likely to end up with awkwardly-phrased content at best, and unintelligible writing at worst. The time difference also stands in the way of seamless communication between you and the SEO company. This makes it more difficult to collaborate on your SEO marketing plan, and impossible to act on time-sensitive errors and problems. Outsourcing is incredibly helpful and cost-effective for technical tasks, but SEO is more than just simplifying code and adding backlinks. SEO consultants need a solid grasp of content and social media marketing to provide you with customized, comprehensive solutions. Search engines like Google often take into consideration the length and quality of your web page content in determining your index ranking. Your company’s reputation and rankings are dependent on quality content and messaging – you don’t want to leave this responsibility with just anyone. It’s easier for local SEO companies to understand your objectives and target demographic than for someone who is in a different country. Companies in America also have to adhere to very strict operational requirements so that you can trust their standards and attention to detail. Local writers obviously have a great grasp of the English language and are better able to create relevant and valuable content that is tailored to your company’s needs. Offshore content writers usually hammer out large numbers of articles for a low price, which means that they might not be able to take the time to create your site’s content carefully. They are also not usually native English speakers, and this shows in the quality of their writing. Some even resort to shady tactics that could generate content for your website quickly and cheaply, but will hurt your business in the long run—more on that later. 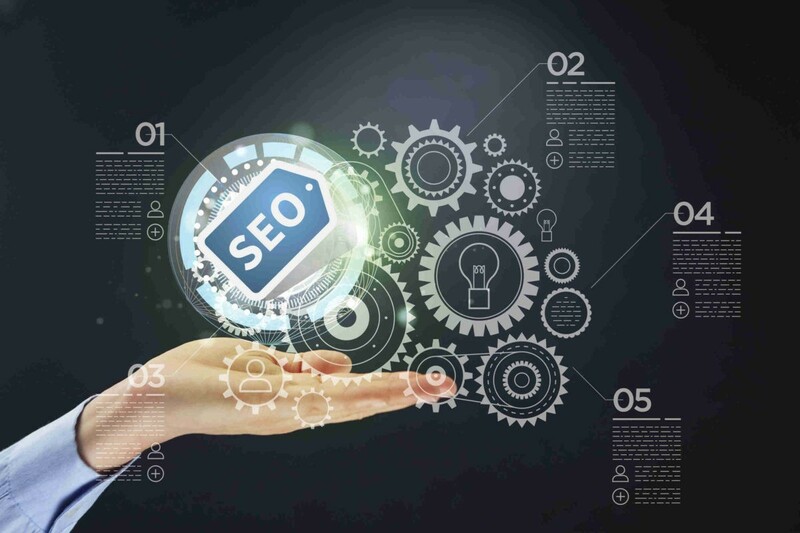 Search engines change their algorithm for ranking and detecting spam websites regularly, so it’s important that the SEO company you work with is caught up with the latest optimization methods. SEO techniques that were commonplace even just a few years ago are outdated now, and could get your site penalized. American SEO firms are usually up-to-date with algorithm changes and are at the forefront of new and innovative techniques. Local SEO companies also offer a wide range of long-term services, including data tracking and analysis to tweak their methods and continually improve your rankings month after month. There are two main kinds of SEO: white hat and black hat. White hat methods involve tweaking your website and improving your content to affect your rankings. It requires a company with extensive experience in web programming, networking, content writing, and even graphic design. With white hat SEO, your website content is king – it needs to be useful and relevant to your audience. The agency is in charge of figuring out the common search terms related to your line of business, and include those keywords in your content so that it’s easier for potential customers to find and connect with you online. They’ll also increase your quality backlinks from other reputable websites, help you manage negative reviews online, and enhance your profiles on related directories and blogs. This holistic and multi-level approach to increasing your visitors and generating leads is the reason why many local SEO companies charge a pretty penny for their services. While there are trustworthy SEO services in India and other countries, their low cost often means they resort to other, less expensive ways to manipulate your search engine rankings superficially. These shady and unethical practices, like keyword stuffing, using link farms, and scraping content from other websites, might boost your ranking in the short term, but search engine algorithms are programmed to sniff out disreputable websites that employ these tactics and penalize them by decreasing their rankings or removing them from search results altogether. Offshore vs US-Based: Which is better? The SEO company you eventually hire will run the nitty gritty of your online presence so that you have more time to focus on operating your business. They will improve your website and user experience so that it’s easier for customers to find your products and services. It’s important to hire an agency that is credible, easy to communicate with, will deliver long-term results, and give you your money’s worth.